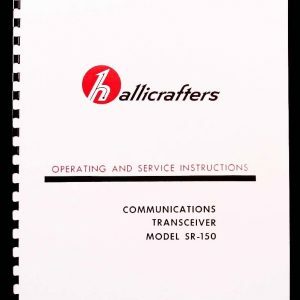 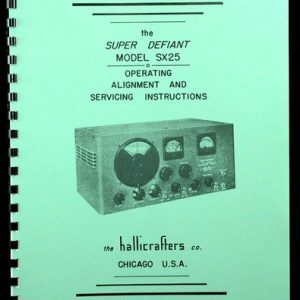 For sale is reprint of Hallicrafters Communications Receiver Model SX-130 Operating and Service Instructions. 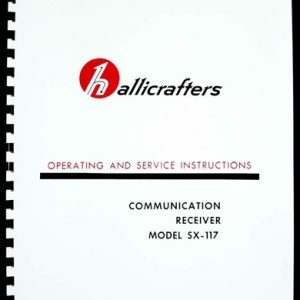 Manual is 11 pages long and includes Double sided 11×17″ foldout of part list and Circuit Diagram. 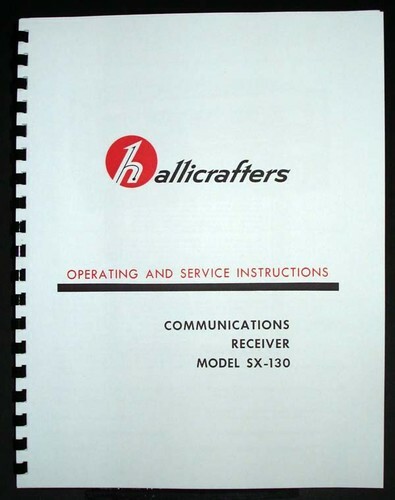 Manual consists of sections: General Description, Technical Specifications, Installation, Function of Operating controls, Operation, Service Data, and Alignment. 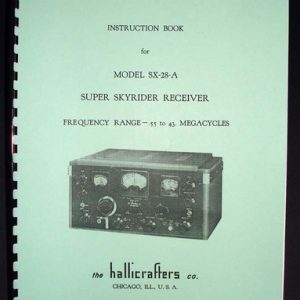 includes Dial Cord Restringing Diagram and Illustration of bottom and top of receiver with arrows pointing to every component.